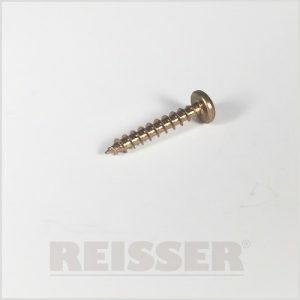 FLOORING SCREWS were developed with the job in mind. 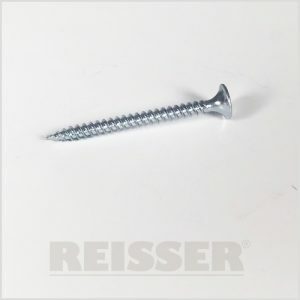 They are packed with features and benefits that were designed to solve the common issues with flooring installation but can also be used in similar fixing applications (architraves, panelling etc) all with the confidence of Consistency of Quality. 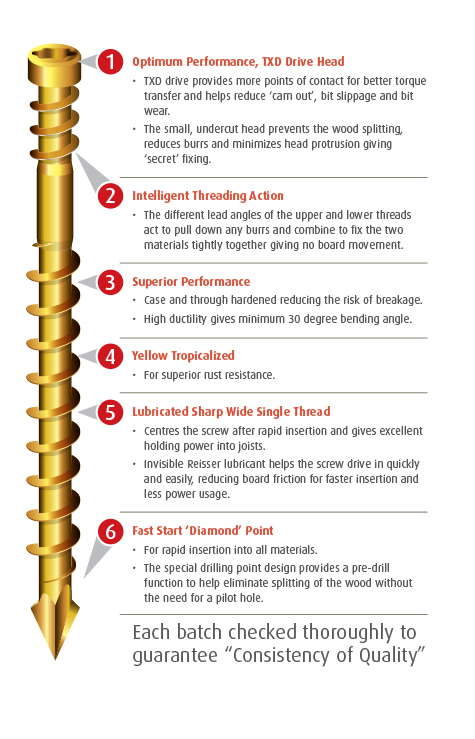 The fast start ‘Diamond ‘ point gives instant start and a pre-drill function to help eliminate splitting, a wide single thread centres the screw quickly and this coupled with the lubricant reduces friction which means faster insertion with less power. 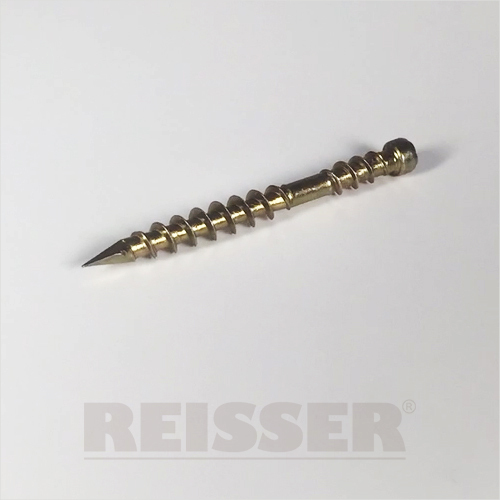 The specially hardened steel provides increased ductility with a min 30º bending angle, essential when fixing at an angle. 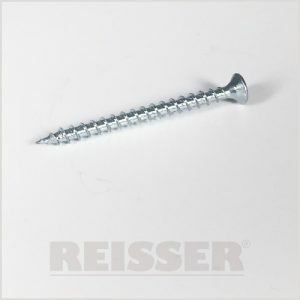 What makes this screw ideal for flooring is the two different thread patterns, the second thread under the head is designed to engage with the board to prevent movement whilst the wide, deep thread on the shaft provides high pull out resistance into the joists – result = no board movement and no squeaks. 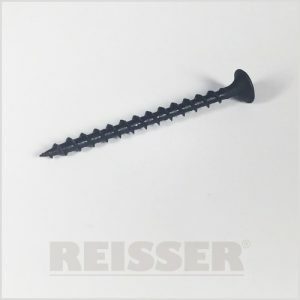 The small head design prevents splitting and burrs on the surface and when flush gives a small, clean fixing point which can be easily disguised for a “secret” fixing. The use of a TXD star drive also gives great torque transfer with reduced “cam-out”, protecting the recess so if the screws ever need to be removed the drive recess is un-damaged. Manufactured in the same factory as the CUTTER you can be confident of the Consistency of Quality.